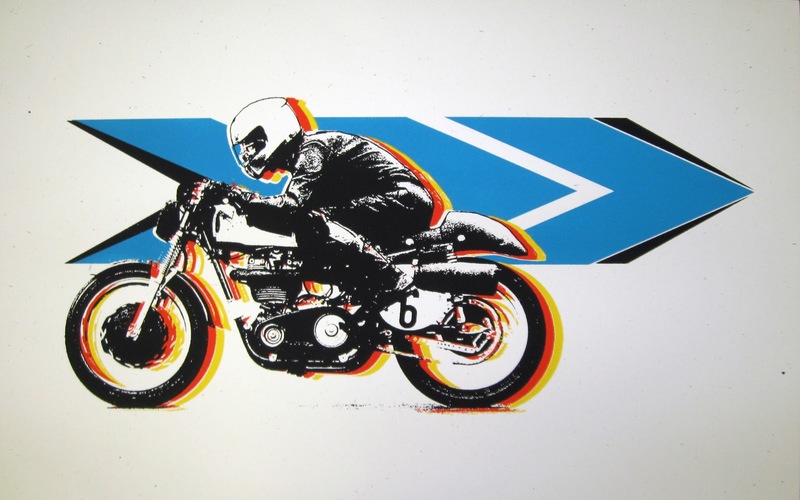 "If Tron had Cafe Racers"
So the idea for this print was mostly because of the movie Tron and that allot of new friends have Cafe style motorcycles. So the idea was to make my own Tron print. But changed the idea right after I started. I combined the Tron Light Cycles with the influence of Cuban poster art. 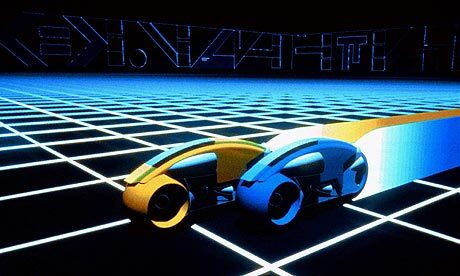 Below are two of the light cycles from the movie Tron. 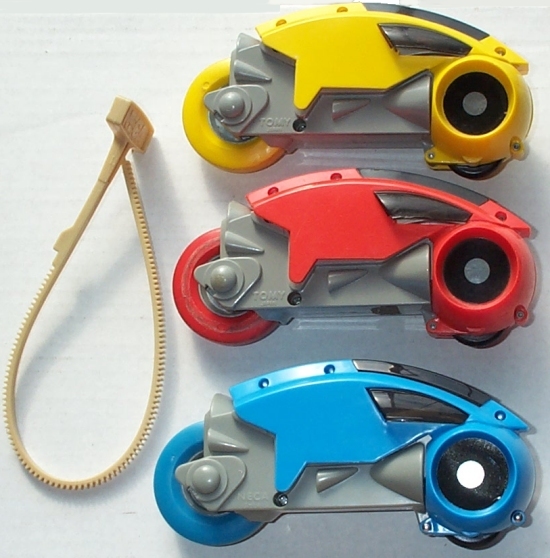 Here is a picture of the toys back form the early 80's. This why I choose the three colors for the print. Then we have some Cuban Poster art. 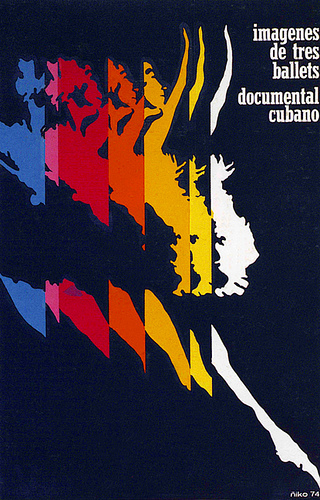 Cuban ballet poster designed by Ñiko Pérez 1974.